So Lonely in Gorgeous: The Meek Shall Inherit The Earth, But Not Its Mineral Blush! The Meek Shall Inherit The Earth, But Not Its Mineral Blush! I've been trying to give all the products in my beauty arsenal an equal amount of attention by rotating them on a weekly/biweekly basis. 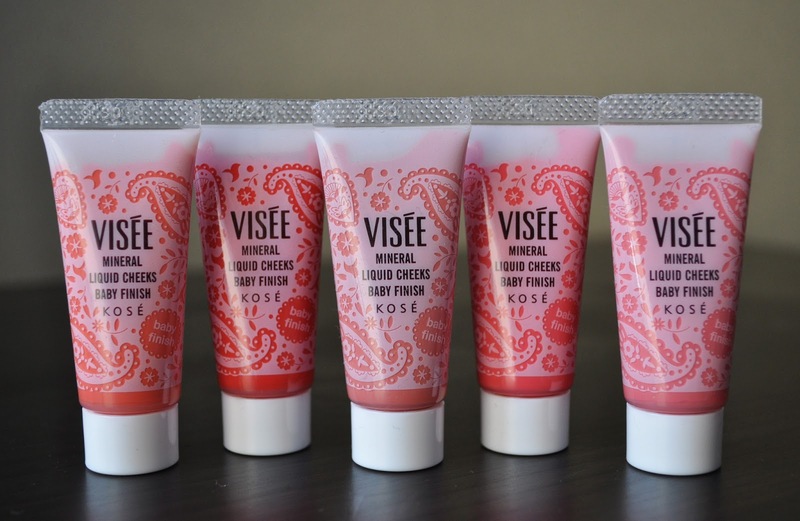 This week's cheek product is Visee's Mineral Liquid Cheek Baby Finish blusher. Originally released in the Fall of 2012, Mineral Liquid Cheek Baby Finish offers great pigmentation; it's a non-sticky, creamy texture that blends easily without going patchy, satin finish and last about 5 to 6 hours (at least on my dry skin that is). From left to right: OR200, RD400, RD401, PK800, PK801. Although I like this product, I'm not blown away by it, especially when compared to other cream blushes in my collection. So, I wouldn't say it's a "must have". 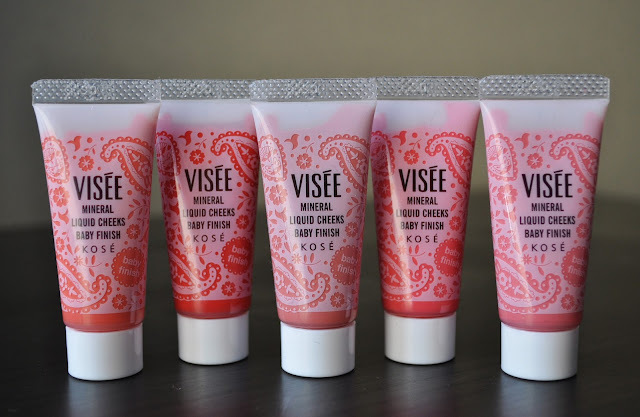 Visee's Mineral Liquid Cheek Baby Finish comes in five shades and retails for ¥1,155 ($11.01). I'm in love with rd401!!! by the way, how much is it in dollars? Now that the Dollar is stronger than the Yen $11.01. I like a few of these, do they finish kinda glossy like it looks in photos or is it more powdery? Hee hee.....you come up with the most catchingly crazy titles for your posts! Getting desperate for Summer here!! 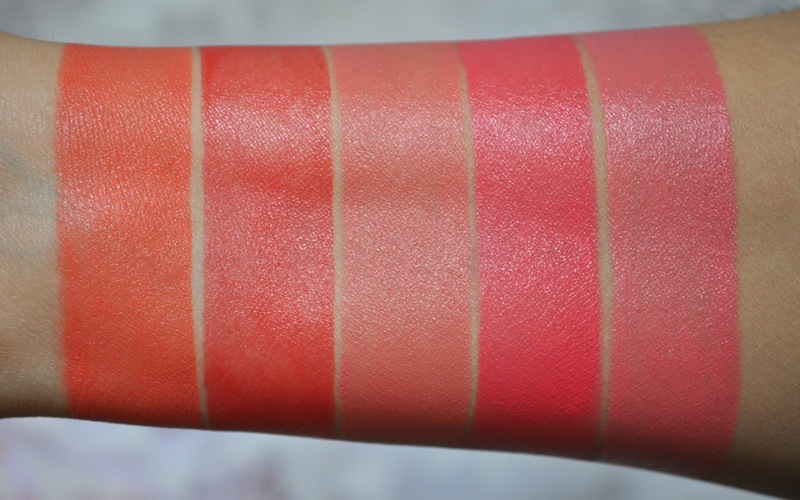 These liquid blushers are juicy! I'm dreading Summer here. Nothing is air conditioned and it's unbearably humid...bye, bye good makeup and hair days.